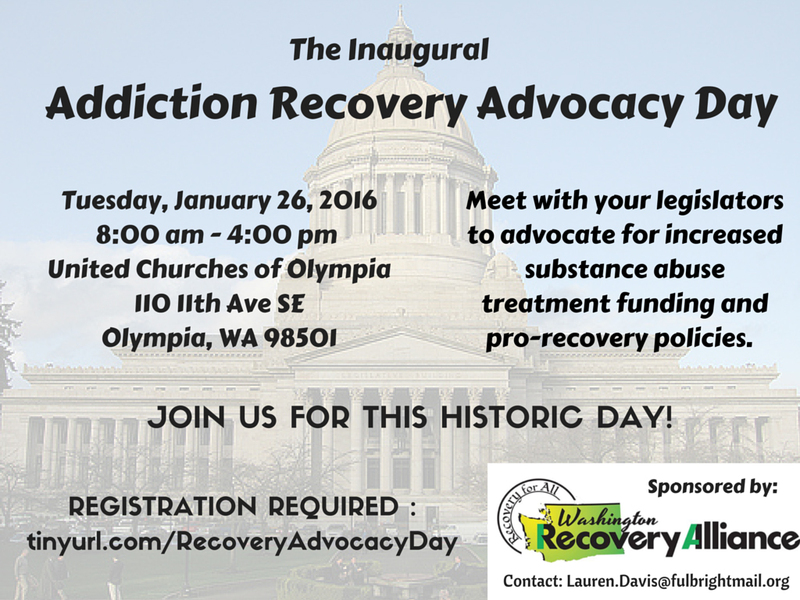 Join Recovery Café and addiction recovery advocates from across Washington State for the inaugural Washington Recovery Alliance’s Addiction Recovery Advocacy Day! We will educate our legislators about the importance of funding substance use disorder services. We will also be advocating for the passage of Ricky’s Law to allow involuntary commitments to substance abuse treatment for individuals with life-threatening addiction. If you are interested in being part of the Recovery Café’s group, please contact Maddy Lee here.